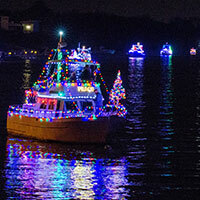 The James River Parade of Lights is one of the Richmond area’s most cherished winter events. While there isn’t another parade scheduled for this year, we are hard at work planning for the parade in 2019. If you would like to join the planning committee, email parade@jrac-va.org.